11-2018 Update | Welcome to SVENA! Happy and safe holidays to you and your family! SVENA stands for Skykomish Valley Environmental & Economic Alliance. Our mission is to protect an environmentally and economically sustainable future of the Skykomish River Valley. We are working towards. You can find more information at our website svena.org. 2. Congratulations to our endorsed candidate Rebecca Wolfe for winning the 2018 election race for a position of PUD #1 Commissioner, District 2. PUD website and District Map, Election Results. 3. 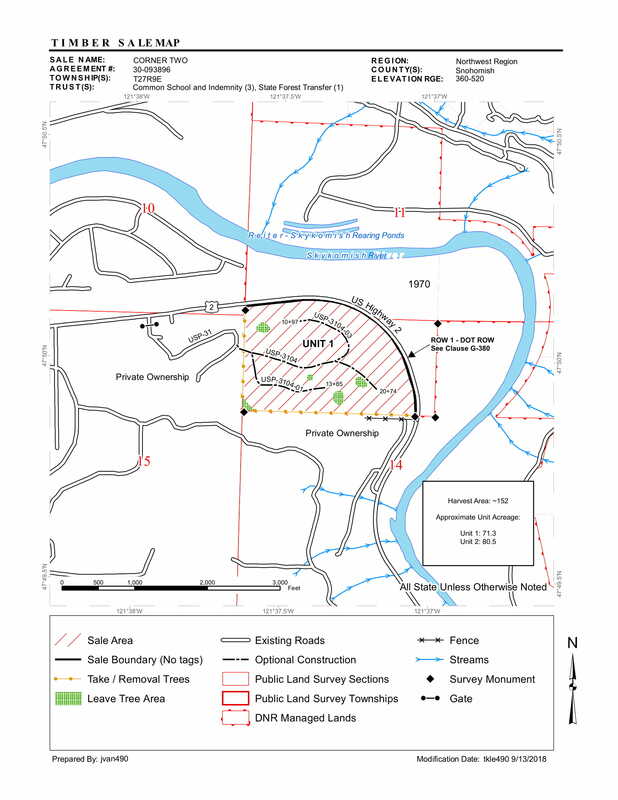 On November 14, 2018 DNR auctioned CORNER TWO TIMBER SALE which was bought by Sierra Pacific Industries (SPI). Unit 1 of this timber sale is a naturally regenerated forest next to busy Hwy 2, a part of the Cascade Loop with over 5 million cars on it annually. This forest was looking for a buyer who could save it. This timber sale is on the county land. Unit 1 had a big potential to become a busy county park with your name on it. Minimum bid FOR BOTH units was $1,511,000. Full Map, Unit 1 Map, FPA# 2816522, Timber Notice of Sale.